So you have seen the apartment Douis; we have been up for 25 hours now and it is the middle of the day here. 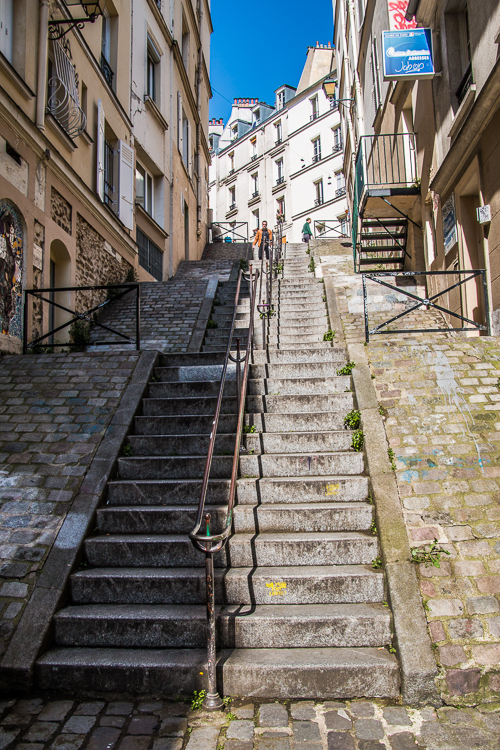 A walk around Montmartre is in fashion to keep us up so we can get on Paris time as soon as possible tomorrow. 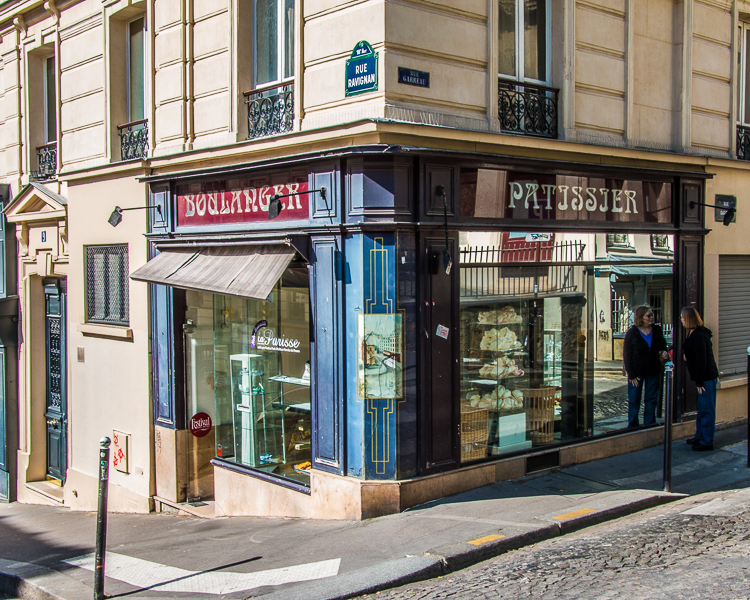 Here are some of the pics taken on that afternoon walk around Montmartre! 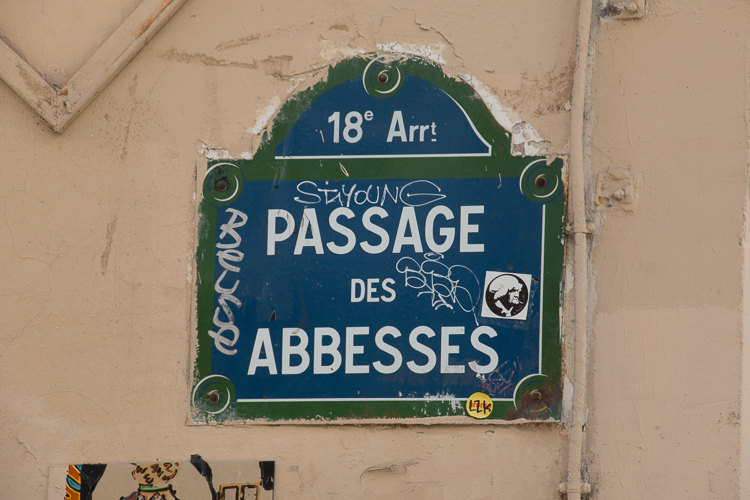 Passage des Abbesses, stairs, more stairs! 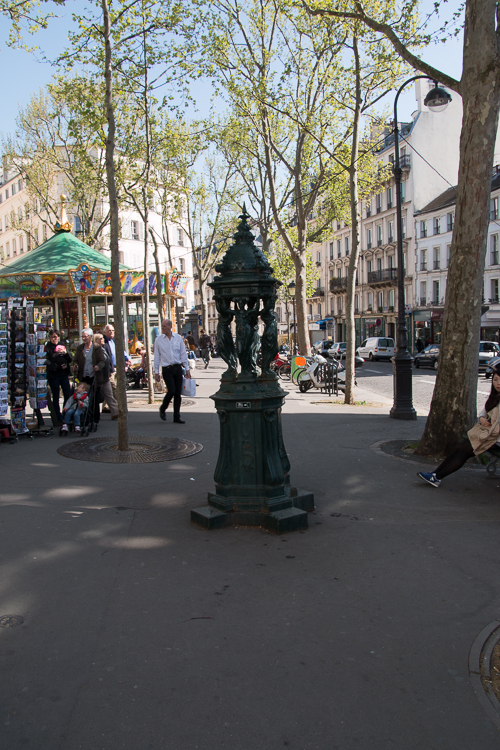 Public water fountains, created by an Englishman for Paris! 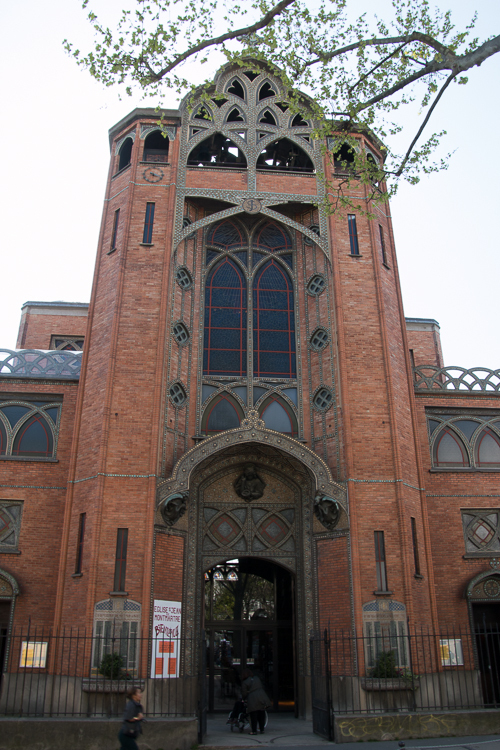 Église Saint-Jean-de-Montmartre, made out of concrete with a beautiful brick facade! 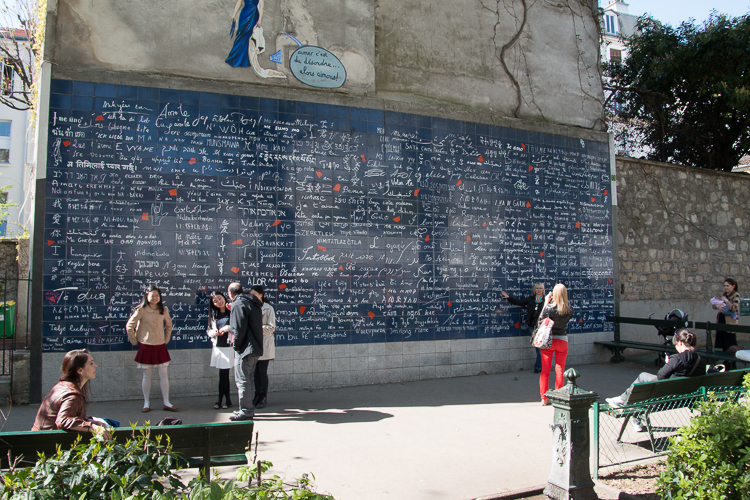 Square Jehan Rictus, Place des Abesses, I Love You Wall, over 300 languages of I Love You fired on to tiles! 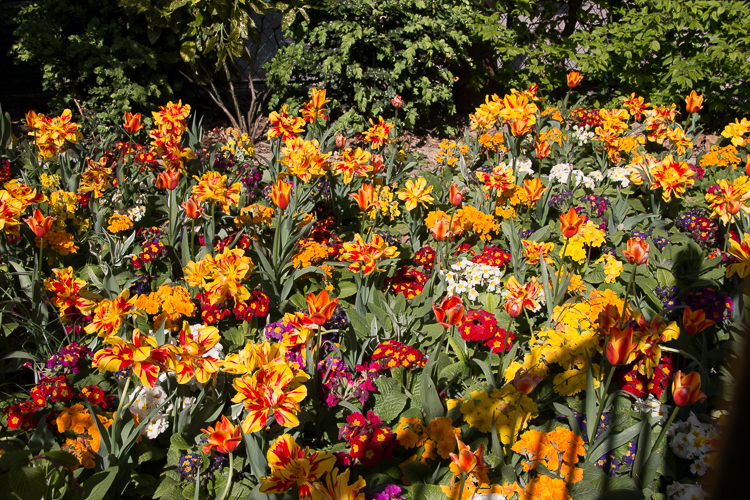 Did I mention it was spring time in Paris? 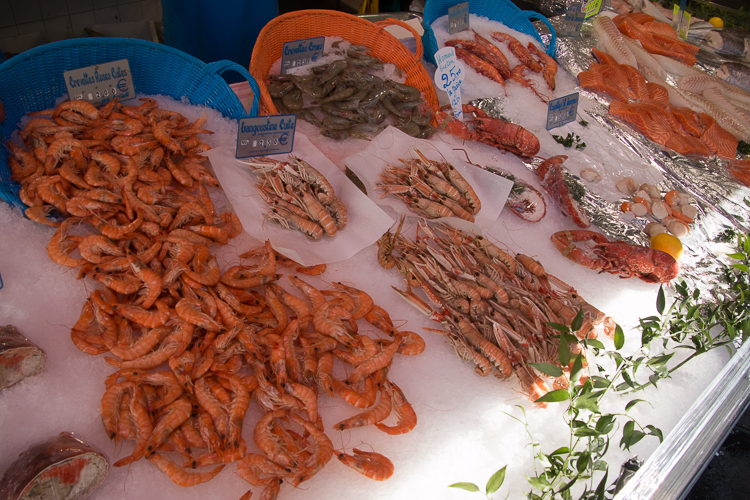 Brought in fresh from the Atlantic every day! 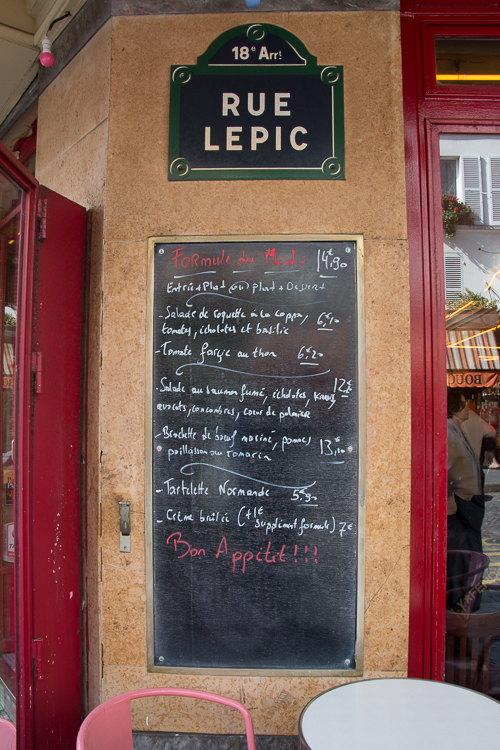 The best priced plates of the day are posted daily on the chalk boards! 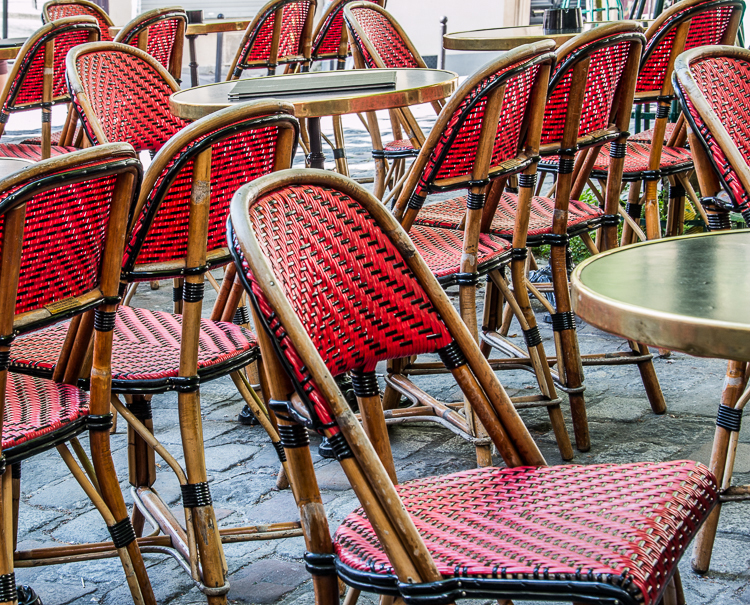 Outdoor seating at the bistros! 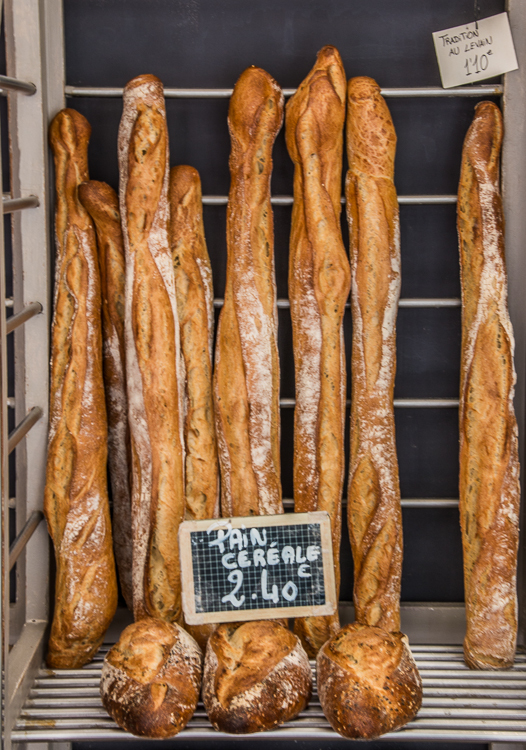 The Best Baguettes in the WORLD! The missing baguette has been claimed by us! 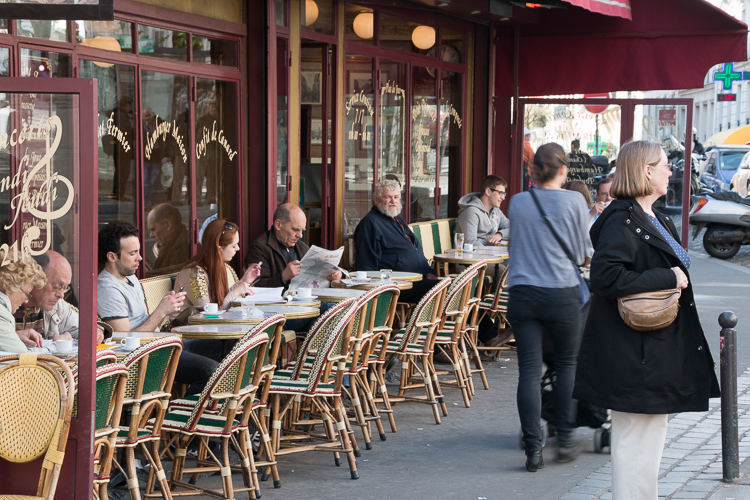 When hungry or thirsty in Montmartre you are never far from a table ready to serve you! 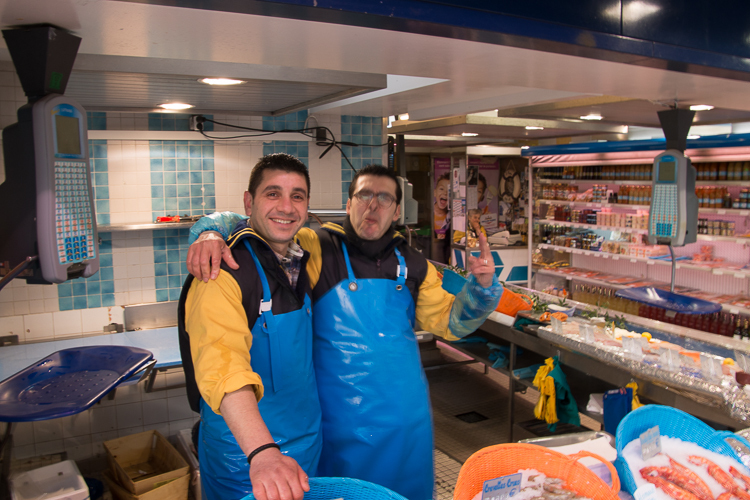 We will sleep good tonight, ’til tomorrow, Au revoir! I snapped almost a similar picture of Église Saint-Jean-de-Montmartre on my last visit to Paris. I haven’t been inside though. Maybe next time!